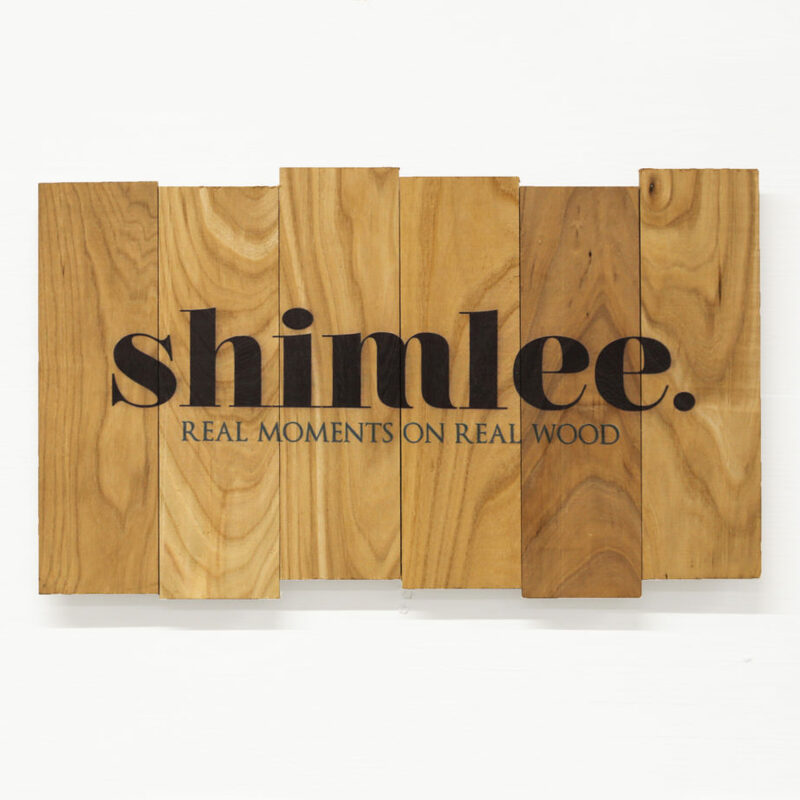 Blog What the heck is this company shimlee.? We knew you were going to ask! After all, isn’t shimlee. a made up word? Yes, yes it is. But despite all of that craziness, there is real meaning behind the name! shimlee. is a division of Kendrick Forest Products. Kendrick Forest Products, or KFP as we lovingly refer to the company, is the largest producing saw mill in the state of Iowa. (Yes, we said Iowa. Not Ohio. Not Idaho. We have corn. We have the Hawkeyes. Not potatoes. Not the Buckeyes.) KFP harvests trees from the timber, transports the logs to our facility in Edgewood, Iowa and then saws those logs into boards. Some of these boards are used to build the cutting edge custom cabinets we produce at our other division, Forever Cabinets. Most of these boards are sold to flooring, cabinet, and furniture companies throughout the United States and various other countries throughout the world. At KFP, we try not to waste any part of the tree. Our sawdust is burned to heat our facility and kilns. The bark is shredded, dyed and sold as mulch for landscaping. And those thin pieces of wood we cut off the log when we’re prepping it to saw into a lumber order are used to build our shimlee. prints. Those thin pieces happen to be called… shims. There you have it. That’s how we came up with the name shimlee. Simple, right? Now go create your own. and share your best memories on real wood!